Assured Medical Weight Loss Center is an affordable weight loss center servicing Gallatin, TN, Hendersonville, TN, and other surrounding areas in middle Tennessee. 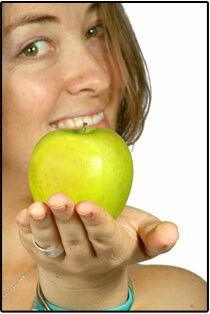 Our experience and our sevices will provide you the best, and most clinically proven way to losing weight. Whether your goal is simply wanting to lose a few inches here or there, or to practically shed pounds, we can offer you the best service in Middle Tennessee. If you have been trying to lose weight, and nothing seems to work for you, you should try Assured Medical Weight Loss Center. We'd like to help you understand how our approach to weight loss can benefit you and your family, and put you back on the right track to healthy living. Simply put, we care about our patients, and it shows in everthing that we do. That concideration is the motive behind our attention to detail during your visit. We listen and answer all of your concerns and questions and make sure you understand your diet program and what's expected of your while on the program. Assured Medical Weight Loss Center is a reflection of that devotion to our patients. It's a comfortably designed facility that allows us to provide you all the comforts and efficiencies of a modern day weight loss center. If you want results you can see and maintain, call to set an appointment or simply come to the office, walk-ins are welcomed. Come see us today. Let us help you get started on your way to a healthier you. PLUS $10 off first visit!!!!!!! !